Sols 1555-1557: Lots of Targets! Our short drive over the weekend went well, and we are now at a new location with plenty of science targets to choose from. It’s been quite a while since we had a plan with this many new target names! The Sol 1555 plan starts off with a remote sensing science block. Navcam and Mastcam both have atmospheric observations, and then ChemCam will analyze four targets: “Somes Sound”, “Schoodic Peninsula”, “South Bubble”, and “Schooner Head”. Mastcam then has a bunch of mosaics covering the targets “Old Soaker”, “Squid Cove”, “Sieur de Monts”, “Goat Trail” and “Bald Peak”. Later on Sol 1555, we are planning a short “bump” to position the rover for possible contact science. After the bump, we’ll collect some post-drive images to help with targeting. 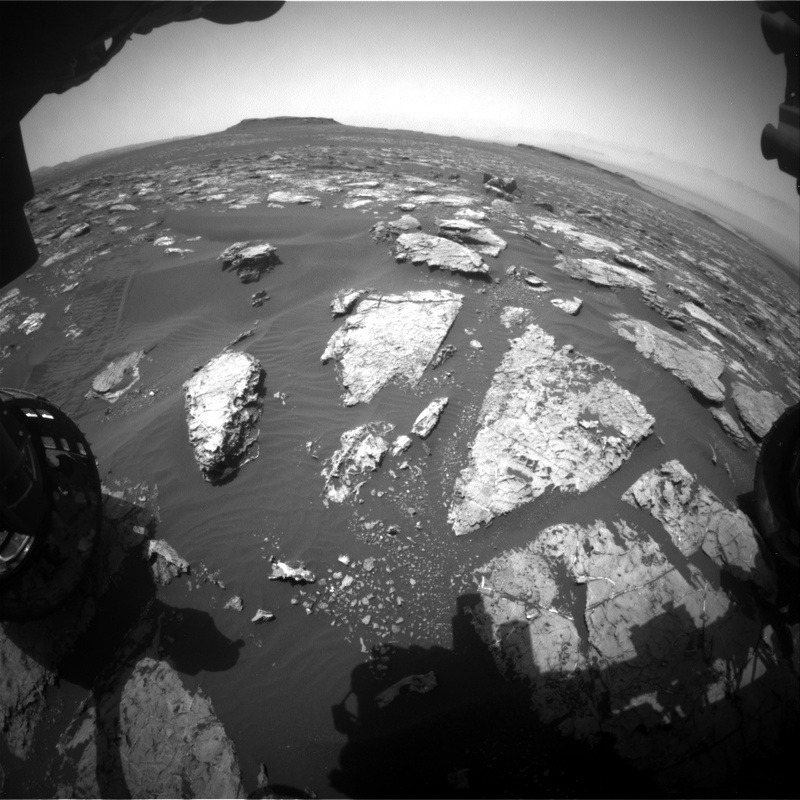 On Sol 1556 Navcam has an atmospheric observation to watch for clouds, and on Sol 1557 we have a routine engineering diagnostic activity for the Hazcams, but otherwise Sols 1556 and 1557 are pretty quiet. -Ryan is a planetary scientist at the USGS Astrogeology Science Center and a member of the ChemCam team on MSL.